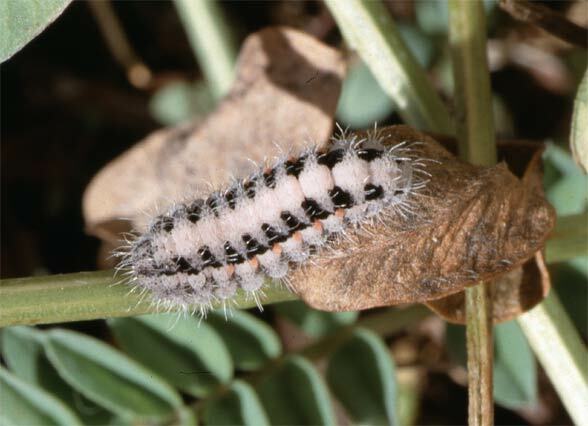 Onobrychis, Dorycnium pentaphyllum and possibly Lotus. 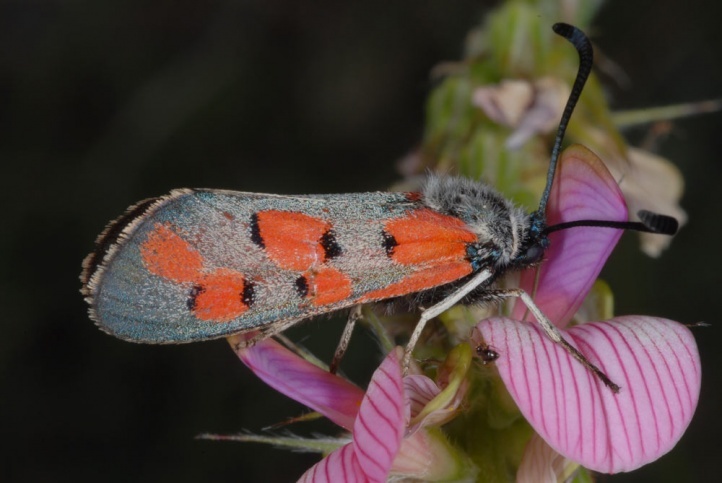 Zygaena rhadamanthus inhabits dry grasslands, bright scrub, garrigues, forest clearings, mountain meadows, coastal areas and similar open to semi open, dry habitats. 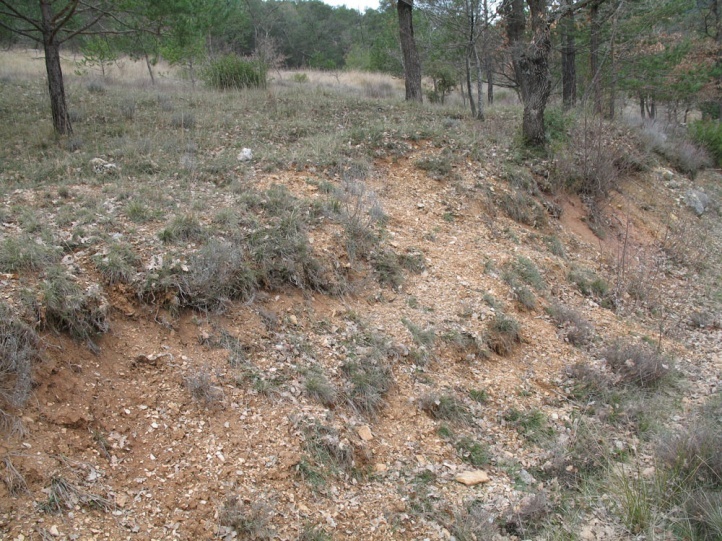 I found the adults from the beginning to the end of May at about 500m above sea level in the Provence (widespread and locally abundant). 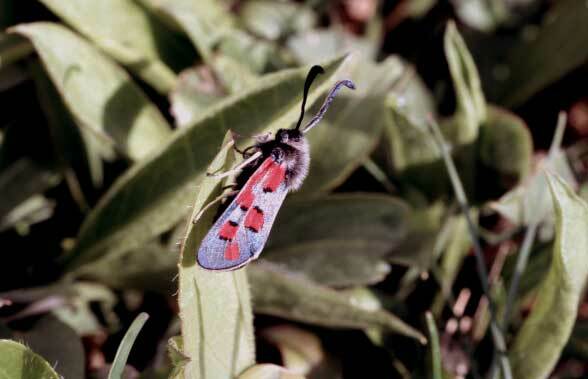 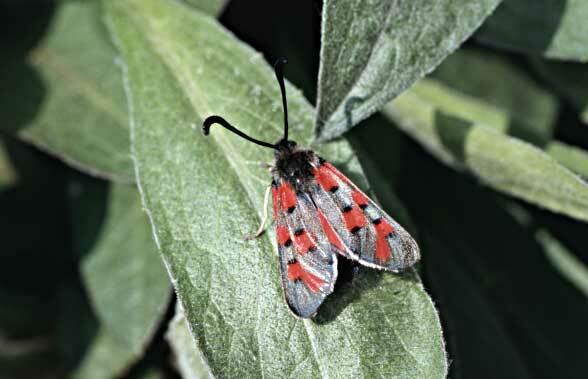 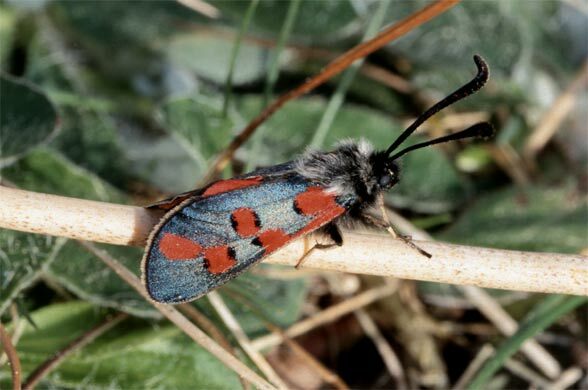 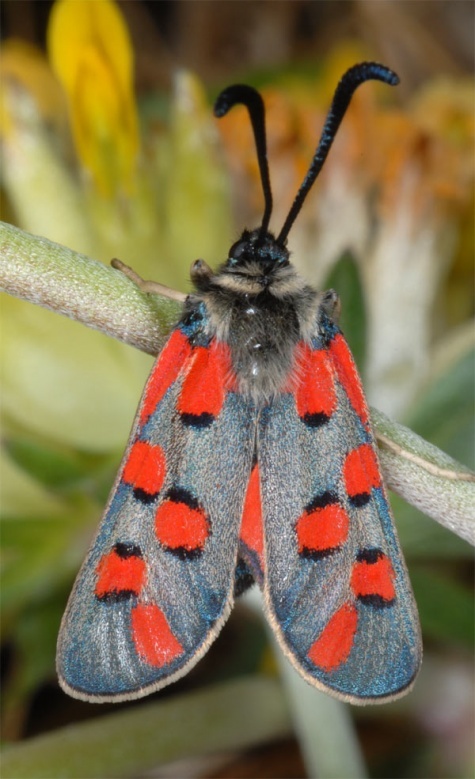 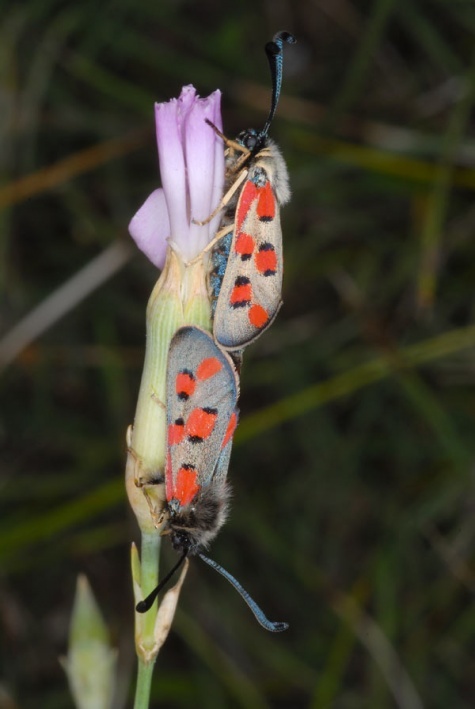 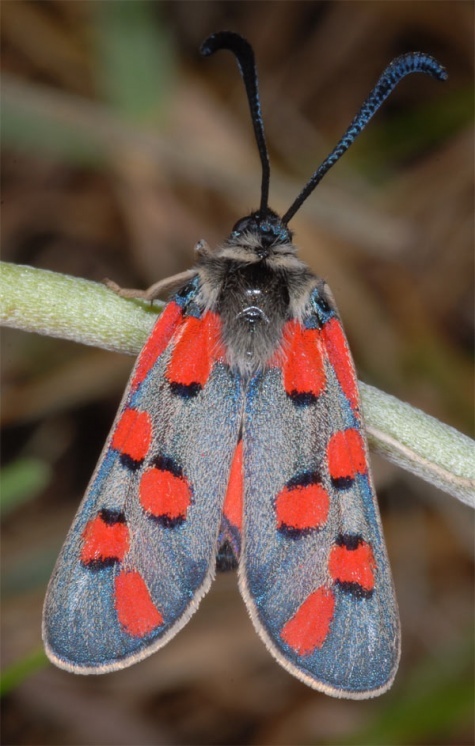 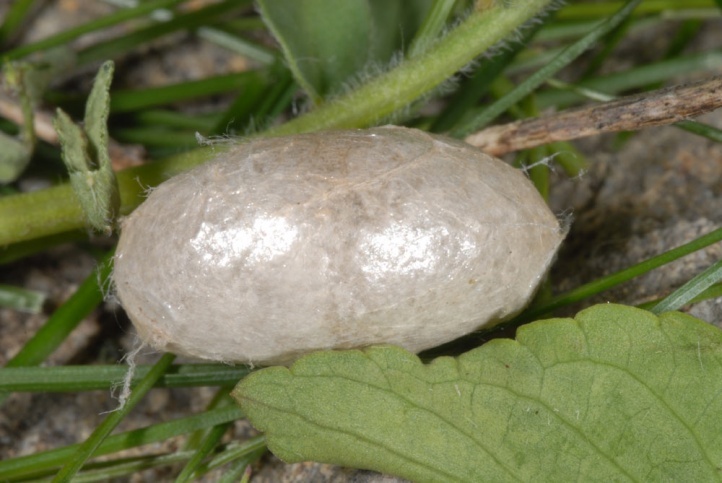 At the same time I observed larvae at about 1500m above sea level in the southern Alpes-de-Haute-Provence in sainfoin, so that in higher altitudes the flight time should be more likely in June and July. 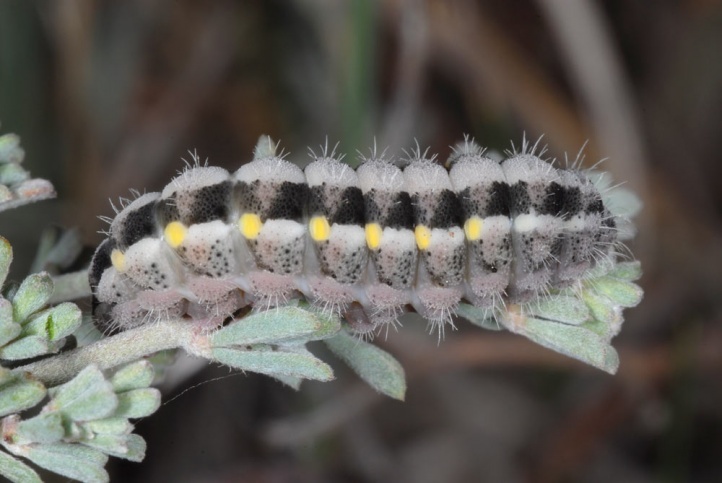 Hibernation takes place as a caterpillar, but probably without a real dormancy. 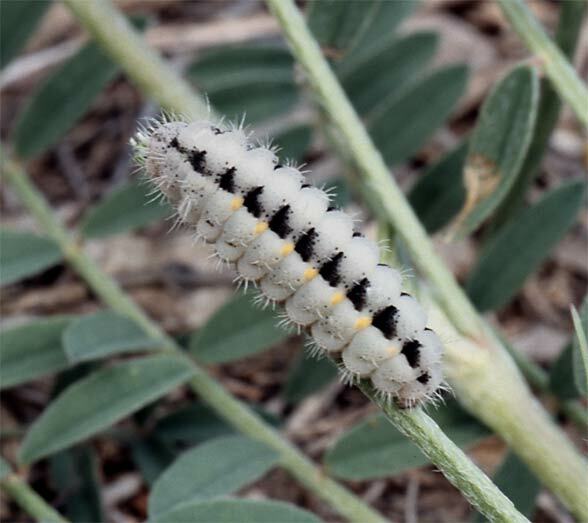 The caterpillar is fully-grown at low altitudes in March/early April. 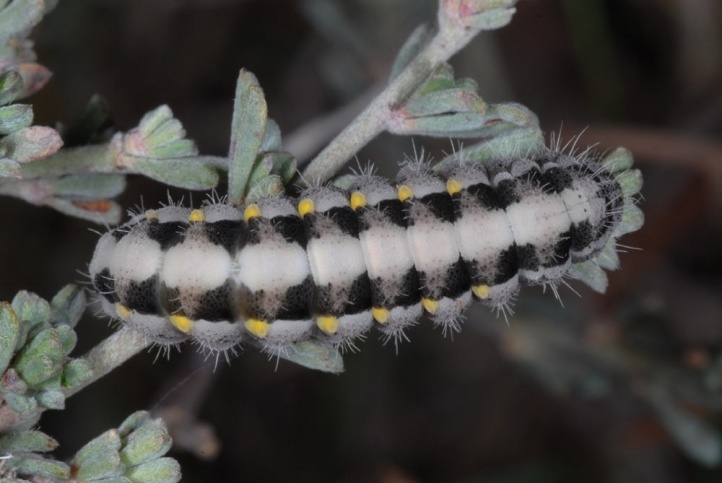 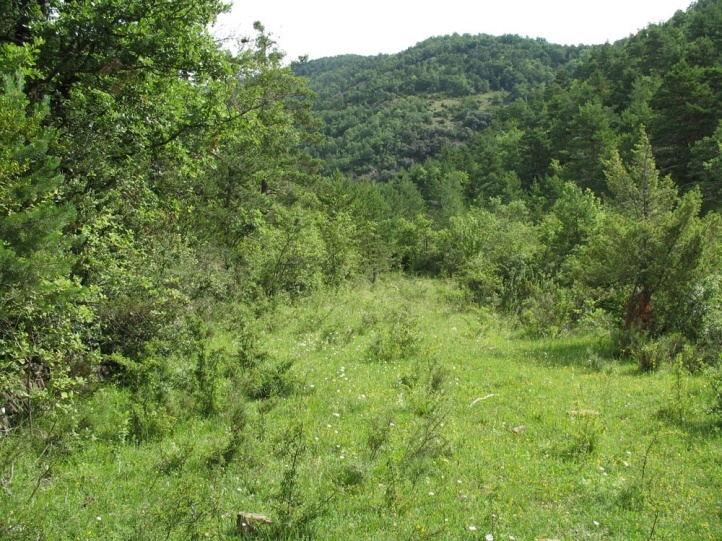 In early April 2010, I found many larvae in the Massif de la Sainte Baume on Dorycnium pentaphyllum. 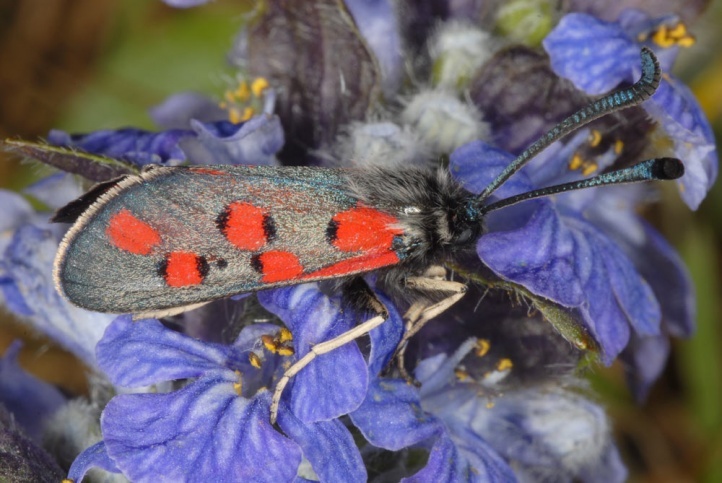 Zygaena rhadamanthus is probably still not endangered. 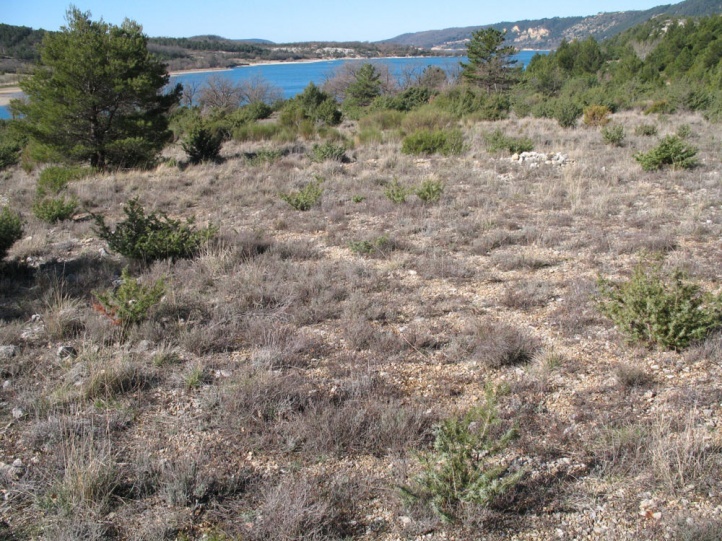 The distribution is Atlanto-Mediterranean: from the Iberian Peninsula (except the northwest) across Southern France to western Italy (Liguria).